Based in Stockholm, Swedish Match is a company that makes snuff, chewing tobacco, cigars, matches and lighters. However, it is most famous for making snus – a unique Swedish variety of moist snuff, designed to be placed under the upper lip for long periods of time. The company is the third-largest producer of tobacco products in Europe, according to the 2015 Financial Times Global 500 list. The two other largest tobacco firms on the continent, by the same measurement, are British American Tobacco and Imperial Tobacco. Both of these are UK-based. While the UK is not exactly known as a hotspot of tobacco use in Europe, historically it played a larger role in the development and growth of the tobacco industry, while Sweden – at least within popular perception – has played a much smaller one. It should be seen as no small feat, then, that this Swedish tobacco company has managed to secure itself so lofty a position. A large part of its success is due to the company’s forward-looking approach when it comes to selling tobacco. The firm itself no longer produces cigarettes, having divested from that particular product 11 years ago. Rather, Swedish Match has steered away from smoke-related tobacco products, focusing instead on the safer snus and chewing tobacco alternatives. This strategy has been followed under the overall direction of one man since 2008: CEO Lars Dahlgren. Dahlgren and Swedish Match have recognised that smoking tobacco is on the way out. Fewer and fewer people want to enjoy nicotine through the traditional method of burning and inhaling tobacco smoke. However, the consumption and enjoyment of nicotine through other means is far from at a dead end. With the health threats of cigarettes universally known, consumers are looking for safer ways to get their fix – and removing the combustible element massively reduces the potential risks. The recent explosion in popularity of electronic vaporiser cigarettes attests to this. Swedish Match, under the leadership of Dahlgren, has accepted this trend and acted according. Dahlgren’s strategy as CEO has not been to batten down the hatches and defend smoking from the ever-growing regulation of governments around the world, amid a general decline in use. Rather, he has taken the initiative to push Swedish Match to develop its focus away from conventional cigarettes. Even before its divestment, Swedish Match was always more than just a cigarette producer. The company is over 100 years old; its origins lie in two firms founded in Sweden in the early 20th century, one producing tobacco products and the other matches and lighters. Svenska Tobaksmonopolet, founded in 1915, started to produce tobacco as a monopoly firm, while Svenska Tändsticks was founded in 1917 and produced matches. The two firms joined together in 1992, under the Procordia Group, before merging into the company that exists today – Swedish Match. As of 1996, Swedish Match has been listed on the Nasdaq Stockholm exchange. In 2015, it had total revenue of €1.5bn, and an operating income of over €425m. With its nearly 5,000-strong workforce, Swedish Match sells its products worldwide, in more than 100 countries. The firm’s snus products have a majority market share in both Sweden and Norway, and its other products also enjoy market dominance further away from home. Swedish Match’s Redman chewing tobacco has a 40 percent market share in the US, while its cigar products hold almost 25 percent. Its matches and lighters are leaders in a wide range of markets, including the UK, various Scandinavian nations, France, Spain, Australia, Brazil, Russia and France. Dahlgren himself has worked his way up since joining the company shortly after graduating, as an assistant controller. Now aged 46, Dahlgren climbed to the top through first reaching the position of CFO in Swedish Match’s Philippines office, before working for a few years in the firm’s group finance division. 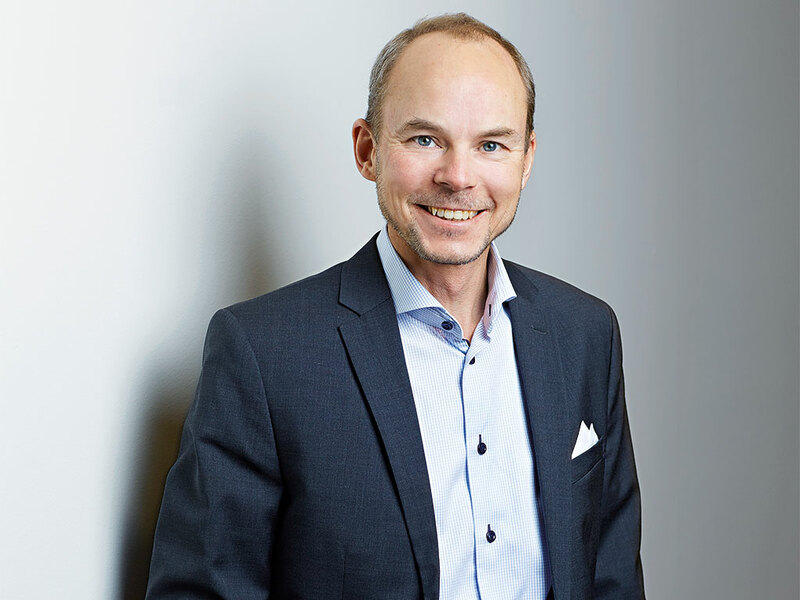 Finally, in 2004, he gained an executive role, serving as the head office’s CFO in Stockholm. Four years later, in 2008, he was appointed CEO. Dahlgren hopes to dispel the myth that tobacco companies are led by out-of-touch traditionalists, clinging to what is left of a declining and increasingly unfashionable market. As the result of a merger between a firm producing lighters and matches, and another producing tobacco products, Swedish Match has a wider product base than most tobacco companies. At the same time, its production of the uniquely Swedish snus means its tobacco-producing arm is also more varied. In a world of reduced smoking levels and increased tobacco control – with policies regulating and discouraging smoking from local government councils all the way up to national governments and beyond – Swedish Match’s diverse product base gives it an edge. Rather than fighting the tide of anti-smoking campaigns, it has even embraced it, seeing it as an opportunity to gain market share for its non-smoke tobacco products. According to Dahlgren: “Swedish Match adapts and thrives.” And, in a world of smoking cessation, it is doing both. As he has noted: “In line with our strategic focus and vision, we are working diligently and enthusiastically to facilitate the trend and goal of a world without cigarettes.” And the adaptation seems to be working: snus products now account for more than 50 percent of Swedish Match’s operating profits. Dahlgren said that now, “in line with our strategic focus and vision, we are working diligently and enthusiastically to facilitate the trend and goal of a world without cigarettes”. The company has taken clear steps towards this, gradually divesting from smoking products. It has already wound up its cigarette operations and, in January 2015, the company took the decision to reduce its shareholding in Scandinavian Tobacco Group, a cigar-producing firm. The company was founded in 2010, and Swedish Match previously owned 49 percent of it, which has now been cut to 31.2 percent. Snus is, of course, still a tobacco product, meaning it still has some associated health risks. However, it remains much safer than cigarette smoking. In spite of this, many anti-smoking campaigns and local authorities have attempted to clamp down on non-smoking tobacco products. As Dahlgren has noted: “We face challenges through product taxation, regulation, and even the efforts of anti-tobacco organisations.” However, Swedish Match has taken steps to work towards remedying this through the relevant authorities. In the US, for instance, the firm has made an application to the US Food and Drug Administration (FDA) for its snus products to be classified as a Modified Risk Tobacco Product, allowing them to potentially escape certain punitive anti-smoking regulations. This attempt at a US reclassification is also part of Dahlgren’s forward-looking strategy. The US is seen as a key market for Swedish Match to expand into with its snus products; already a key market for chewing tobacco, Swedish Match has identified it as having a strong potential to become a large destination for snus. The US is one of the few places in the world where the use of chewing tobacco has gained widespread use and cultural status. However, Americans are increasingly turning away from the product; Swedish Match estimated that in 2014 the company had a 40 percent market share for chewing tobacco in the US, representing an eight percent decline from 2012. Likewise, 2015 saw further a decline in sales volumes. Although Swedish Match owns Red Man, the market-leading premium brand in the US, it recognises use of the product is in decline. For this reason, alongside the decline of smoking, Swedish Match is gearing a lot of its efforts towards expanding its snus market in the US. Swedish Match’s various snus products saw good growth in the US market last year. “For snus and moist snuff in the US, the General snus brand had good growth in both consumption volumes and market share, and the overall snus market experienced more rapid growth”, said Dahlgren. Dahlgren put the increased popularity of the product down to “its taste, its quality, and its benefits versus smoking”. While Swedish Match’s application for Modified Risk Tobacco Product status is still awaiting approval, Dahlgren appears confident that it will be achieved. “While we are still awaiting an FDA decision, we were very pleased to see that Swedish Match this past year was the first and so far only tobacco company to have received product approvals under the pre-market approval process of the FDA”, he said. With its pre-existing brand dominance and its acceptance of changing market conditions, Swedish Match is well positioned to grow its snus sales in the US market. It has recognised which tobacco products are on the decline, and has focused its energies accordingly, as well as working with regulators in order to ensure lighter regulation of its products.